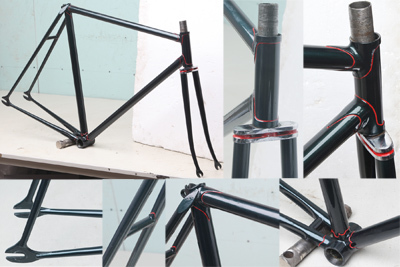 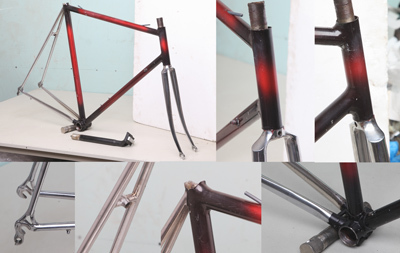 Bernard Carre built frames for many of the top French Professional riders and had an excellent trade supplying many shops with their own label frames throughout France… He built many of Anquetil’s personal bikes and also built for many teams. 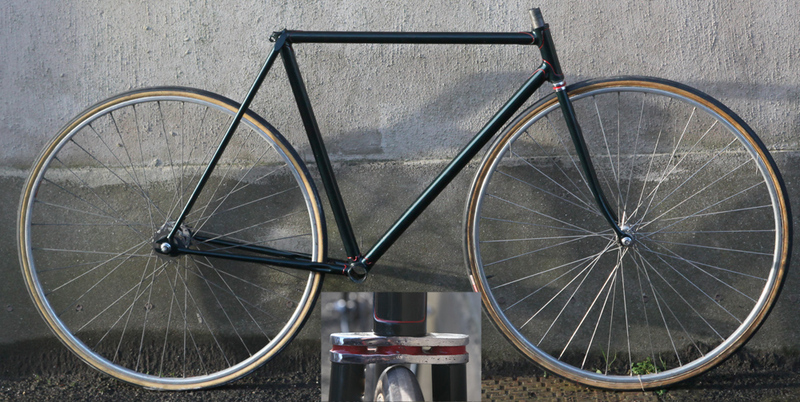 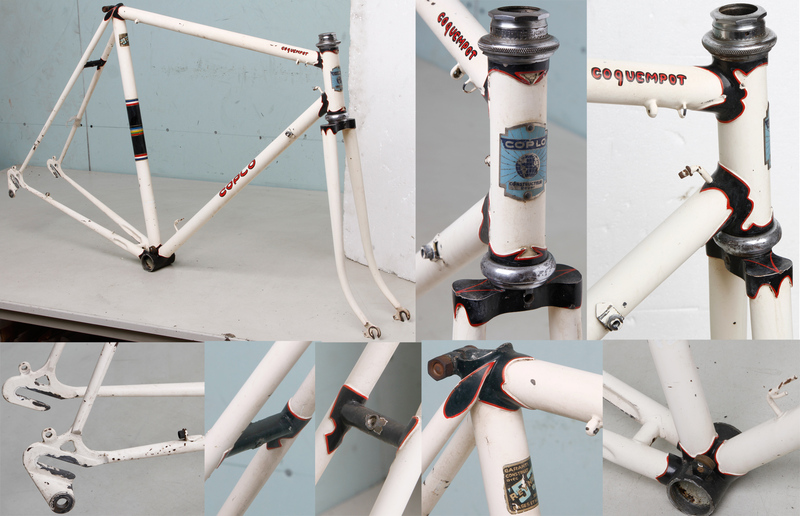 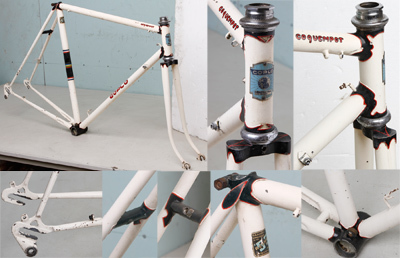 It has Bernard Carré ‘s signature oversize curved seatstay caps. 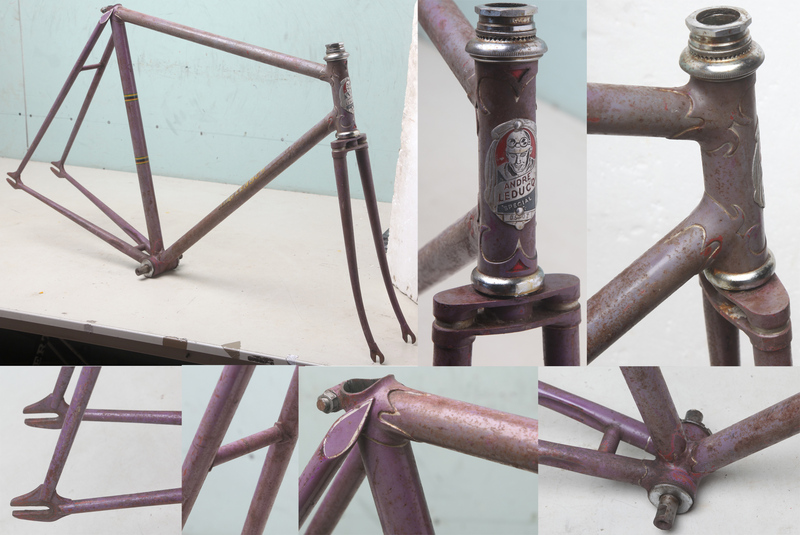 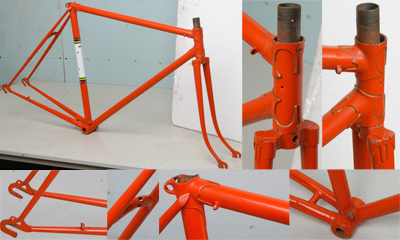 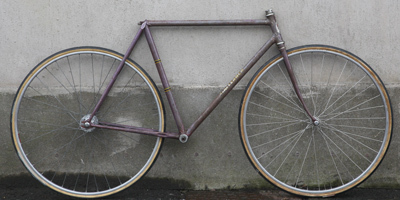 NO-NAME ROAD FRAME 55cm c1936 French or Belgian?